Certainly, informed and knowledgeable people should not celebrate the suppression of their own history. Juneteenth day is a de facto celebration of such suppression. Americans, especially Americans of African descent, should not celebrate when the enslaved were freed by someone else, because that’s not the accurate story. They should celebrate when the enslaved freed themselves, by saving the Union. Such freedmen were heroes, not spectators, and their story is currently being suppressed by the advocates of the Juneteenth national holiday. 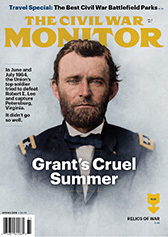 The Emancipation Proclamation did not free the slaves; it made it legal for this disenfranchised, enslaved population to free themselves, while maintaining the supremacy of the Constitution, and preserving the Union. They became the heroes of the Republic. 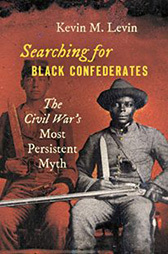 It is as Lincoln said: without the military help of the black freedman, the war against the South could not have been won. That’s worth celebrating. That’s worth telling. The story of how Americans of African descent helped save the Union, and freed themselves. Let’s celebrate the truth, a glorious history, a story of a glorious march to Liberty. Some of the early emancipation festivities were relegated by city authorities to a town’s outskirts; in time, however, black groups collected funds to purchase tracts of land for their celebrations, including Juneteenth. A common name for these sites was Emancipation Park. In Houston, for instance, a deed for a ten-acre site was signed in 1872, and in Austin the Travis County Emancipation Celebration Association acquired land for its Emancipation Park in the early 1900s; the Juneteenth event was later moved to Rosewood Park. In Limestone County the Nineteenth of June Association acquired thirty acres, which has since been reduced to twenty acres by the rising of Lake Mexia. 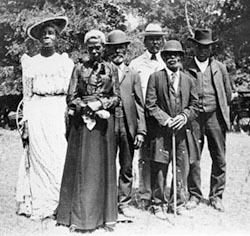 Particular celebrations of Juneteenth have had unique beginnings or aspects. In the state capital Juneteenth was first celebrated in 1867 under the direction of the Freedmen’s Bureau and became part of the calendar of public events by 1872. Juneteenth in Limestone County has gathered “thousands” to be with families and friends. At one time 30,000 blacks gathered at Booker T. Washington Park, known more popularly as Comanche Crossing, for the event. One of the most important parts of the Limestone celebration is the recollection of family history, both under slavery and since. Another of the state’s memorable celebrations of Juneteenth occurred in Brenham, where large, racially mixed crowds witness the annual promenade through town. In Beeville, black, white, and brown residents have also joined together to commemorate the day with barbecue, picnics, and other festivities. It’s one thing to argue with another historian or community leader about the the historical narrative represented by a public celebration (think Columbus Day), but it’s entirely another to — in effect — dismiss the understanding of the day as originally celebrated by the people who actually lived those events, and experienced them at first hand. h/t Kevin. Image: Juneteenth celebration in Austin, June 19, 1900. PICA 05476, Austin History Center, Austin Public Library. Juneteenth belongs in Texas and it should stay there. It has no relevance to any other part of the US. We had to fight this lunacy in the Ohio General Assembly a few years ago. As a result a bill was passed declaring September 22, Emancipation Day in Ohio, in recognition of the oldest, continuous celebration of the EP in the country that started in Gallipolis on Sept. 22, 1863, the first anniversary of the preliminary proclamation. Still the Juneteenth folks in Ohio continue to spread their lies that this celebration has some national significance. They even continue to say it was the first in the nation, and they completely ignore what happened in their own backyard and the actions of their own legislature. They are, as a whole, a rather despicable bunch. Just watched the video. I agree with his central point. I just wish he had investigated the Ohio celebration and given it its just due. It’s in a small rural county in the hills of Southeastern Ohio and is, thus, easily overlooked has nobody wants to believe that the ancestors of those black hillbillies could have done anything of significance. These folks, while honoring Lincoln and the EP, don’t believe there’s was a passive role. 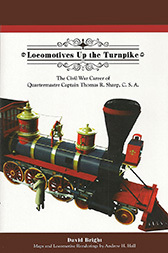 In fact, they frequently have black USCT re-enactors at their celebration. One who recites from memory Paul Lawrence Dunbar’s poem, The Colored Soldier. That poem tells the story of self liberation quite strongly and poignantly! Years ago I had a friend from the Edgehill District of South Carolina and I ran into her early in a new year. We casually talked about how we had each celebrated New Years’ Eve and I was startled when she said she had never seen the ball come down on Times Square: her father was a Methodist minister in a very old church, a church which went back to slavery days when they would meet in the forest, and now the parishioners gather on New Year’s Eve, as the parishioners have since December 31, 1862, to sing sad hymns and pray until the crack of midnight, when they began singing joyful songs celebrating the Emancipation Proclamation taking effect. Interesting. 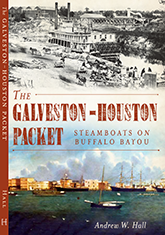 Galveston was the origin of Juneteenth, but the first emancipation celebration here was held on New Year’s Day 1866, three years after the EP became official. It was only in the years following that June 19 came to be settled on as the day of celebration. This is interesting, Bob. The folks from Edgehill and Gallipolis should talk. They both appear to have excellent events of greater historical significance from a national perspective than these Texas claimants.